For most of human history, people were nomads. Nomads wander over a large area in search of food. Historians call this the Paleolithic age, a Greek term that means “old stone age" because people had not yet discovered how to make tools and weapons from metal. These wandering groups foraged for food as hunter-gatherers in small family units of between ten and thirty people. Men hunted, often leaving their temporary camps to herd animals into traps or chasing them over cliffs. Women and young children remained behind to gather plants that grew wild. The size of their communities and limited opportunities for trade with other hunter-gatherers meant that little change occurred in their lifestyles for thousands of years. 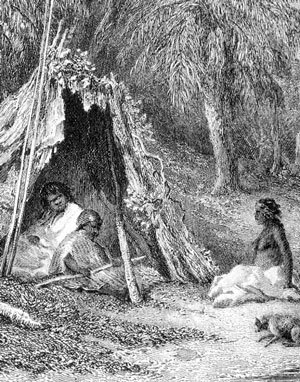 The experiences of these nomads, passed down through generations, allowed them to adapt to their varied environments, from the permafrost of the Arctic to the arid deserts of Australia. By 12,000 years ago, humans lived on every continent but Antarctica. But the story of how humans lived would not be one of endless “moving on". The earth and its weather was on the move in the form of periodic ice ages. During an ice age, the climate becomes colder, and oceans’ levels fall as slow-moving masses of ice called glaciers form over the land. Then, about 18,000 years ago the last ice age gave way to a period of global warming. Within a few thousand years of the end of the last ice age, the climate in some parts of the earth led to an abundance of wild cereal grains. Nomadic groups began to settle, or in other words, stay put in these places because they provided a steady source of food. Some nomads discovered that, beyond what grew naturally, they could create more food by domesticating certain plants. Domesticate means to change plants or animals to make them more useful to humans. Farmers in present-day Central America learned to cultivate a wild grass called teosinte. Over thousands of generations, they cut away the protective branches of teosinte and replanted only the crops with the largest cobs. The result of that manipulation is what we call corn, a plant that is more nutritious than teosinte but is incapable of surviving without human intervention. Farmers learned to domesticate animals as well as plants. The first evidence of a domesticated animal appears to have been the dog about 15,000 years ago. Through careful breeding for traits that served human purposes, humans made animals that were more useful to them. The sheep and mouflon are genetically related, but over time, breeders culled the gentlest mouflon because they are easier to herd. Today it is estimated that there are over one billion sheep, an animal that could not survive in the wild. Sheep, goats, chickens, pigs, donkeys, horses, and other animals supplied not just muscle power, but food from their meat, milk, and eggs, and clothing from their skins and wool. Farming communities could support far more people than foraging. However, agriculture did not always improve living standards. Foragers ate a more varied diet that provided a wider range of nutrients than farmers, making the foragers more resistant to disease than farmers. Also, in the more crowded agricultural communities, diseases from domesticated animals, and unsanitary conditions that can be a product of living in a crowded area helped disease to spread. Many foragers did not see the life of a farmer as a better way to eke out a living, so farming and foraging continued to exist for thousands of years. Some people continue to live a hunter-gatherer lifestyle today, but they are usually relegated to the most remote and isolated parts of the earth. By 9500 years ago, small villages formed throughout the Fertile Crescent. In time, agriculture would develop independently in present-day China, Central America, and other places. The shift from foraging to farming ushered in the beginning of the Neolithic Age, or “new stone age." The Neolithic Age began as early as 12,500 years ago and ended when civilizations made yet another significant discovery. When humans found they could take melted copper found inside rocks, and mixing it with tin, create a stronger combination, or alloy. The alloy of copper and tin is bronze. Tools made of bronze were stronger and lighter than stone tools. Further, bronze tools were more malleable than stone, meaning bronze could be more easily shaped than stone tools. The discovery of bronze was so important that historians consider it the end of the Stone Age. A nomadic family setting up a temporary home. Teosinte compared to the familiar corn we eat today. 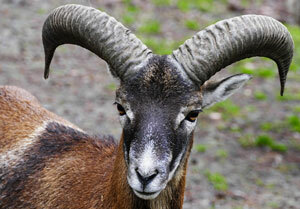 The mouflon is the genetic ancestor of the modern domestic sheep. Only a few thousand mouflons exist today, mostly in mountainous regions of southwest Asia. 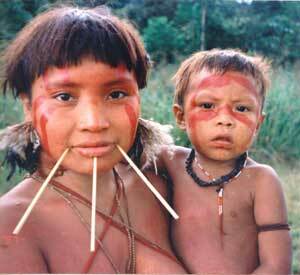 About 35,000 Yanomami live in the Amazon rainforest on the border between Venezuela and Brazil. The Yanomami continue to live a hunter-gatherer lifestyle to this day. Tools made of bronze were lighter than stone tools. Bronze could also be more easily shaped than stone. This entry was posted in Mesopotamia and tagged bronze age, farmers, nomads.